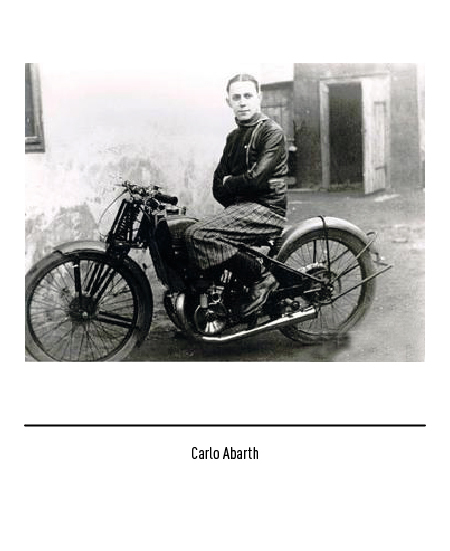 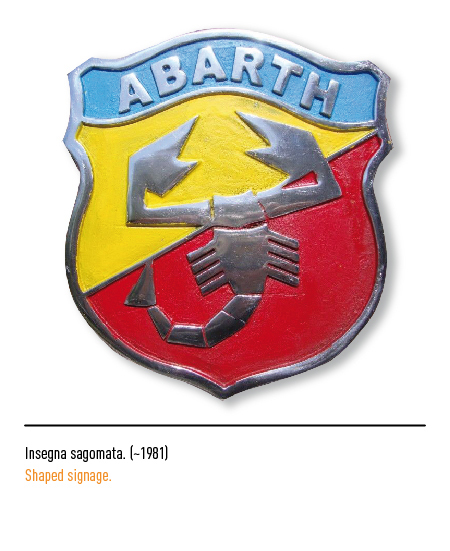 The car producing firm was established in 1949 by the Italian-Austrian biker Carlo Abarth; due to a terrible accident, he had to abandon his career. 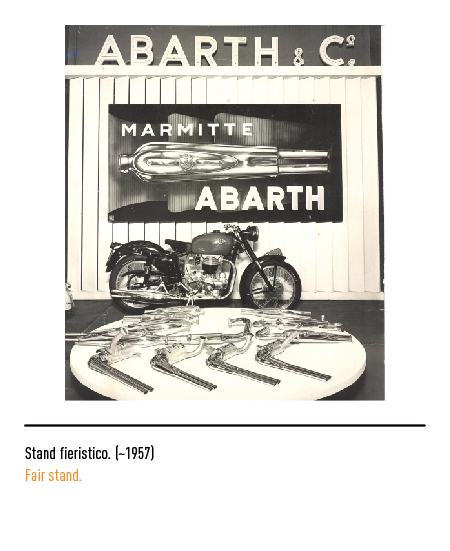 He successfully fell back on the manufacturing of exhaust pipes, cased with fiberglass in order to enhance both performances and the noise of the car. 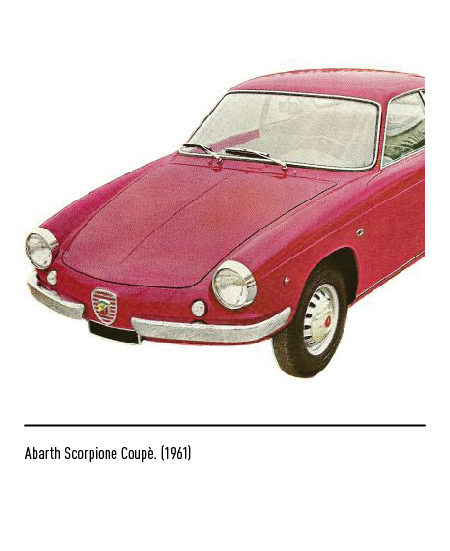 He then became a car designer, allowing the owners of hunchbacks to customize and enhance their cars with a simple kit. 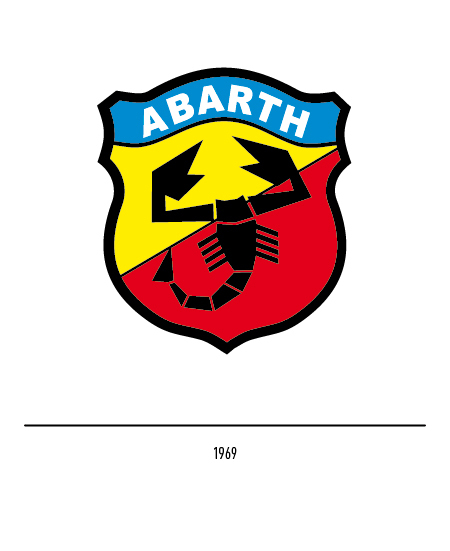 The company logo has been the scorpion since the very start; Carlo Abarth did not only want it as a reference to his zodiac sign, but also because it was an original and hard to imitate logo. 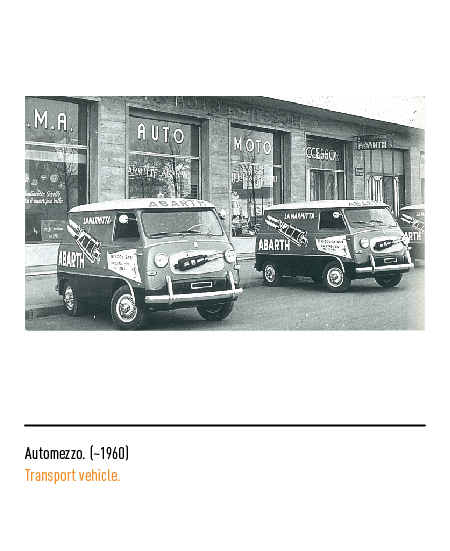 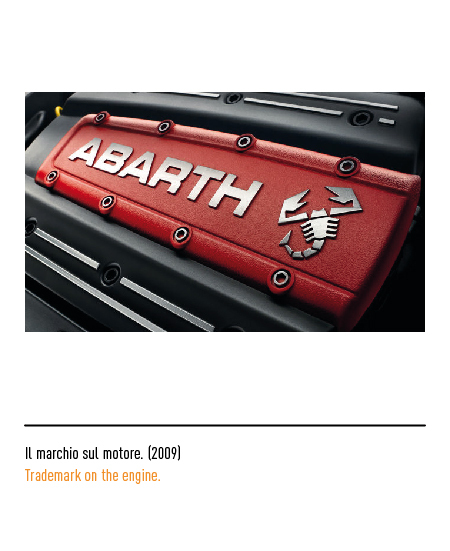 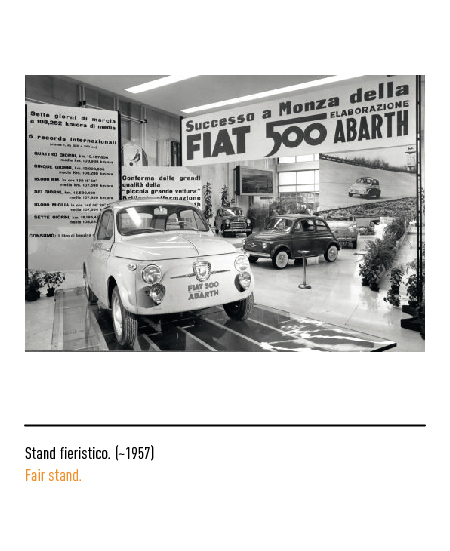 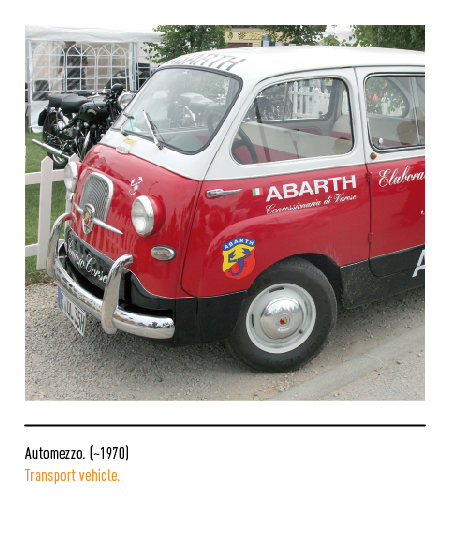 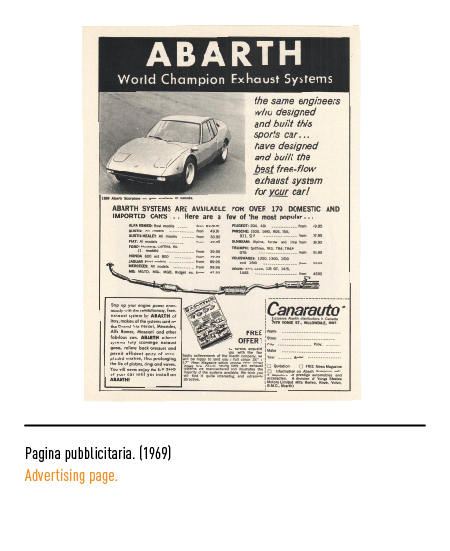 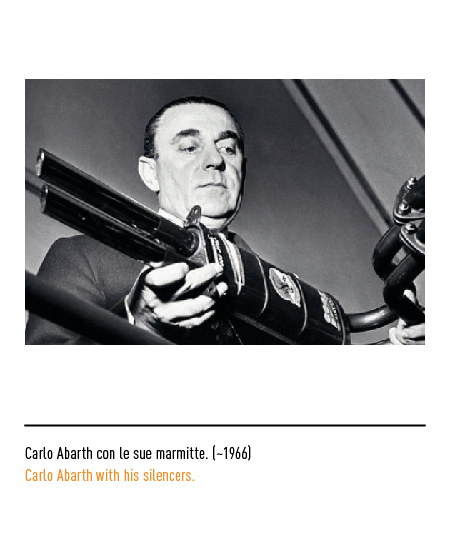 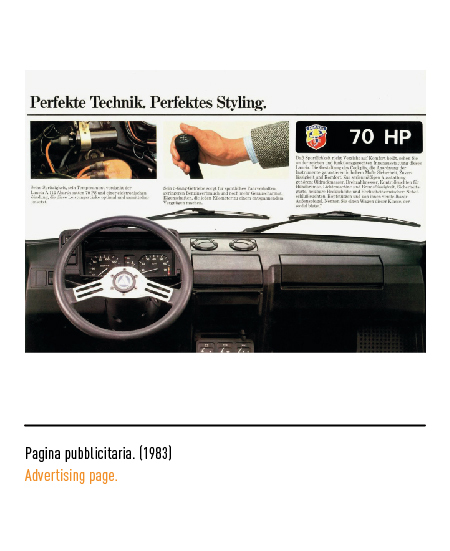 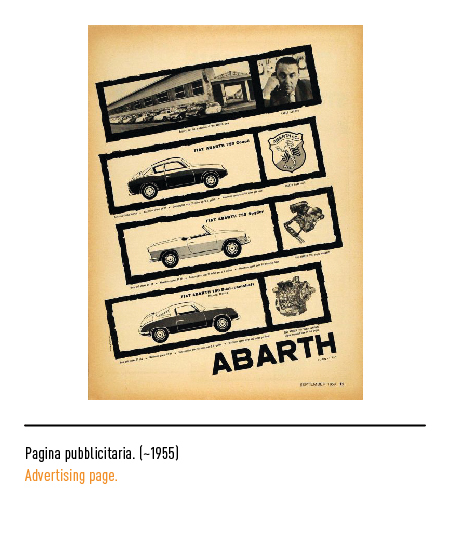 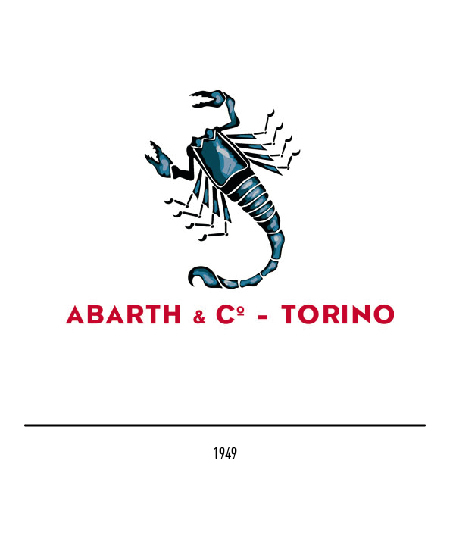 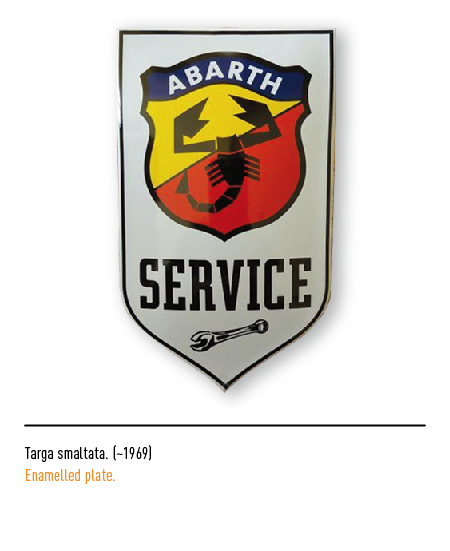 At the beginning the scorpion was free from any contour and featured the typo "Abarth & Co.- Torino". 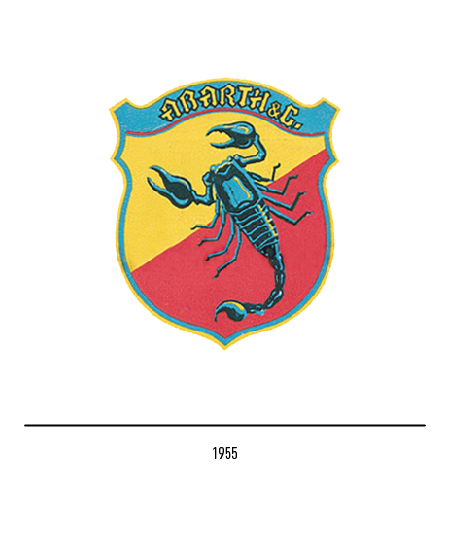 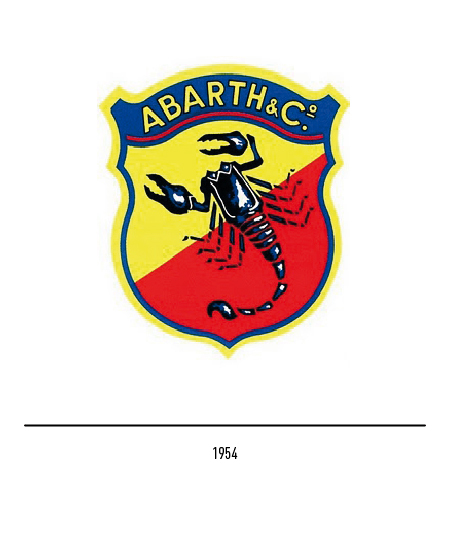 In 1954 a shield was added, as symbol of victory and passion; the yellow typo "Abarth & Co" put on a blue background while the scorpion laid on the yellow and red, typical colours of the racing world. 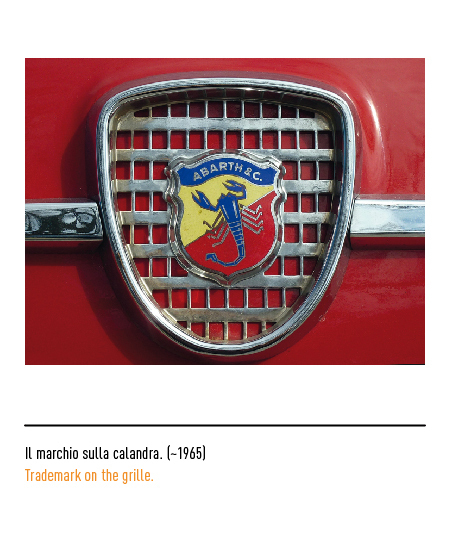 Legend has it that the colours were actually a tribute to Merano, the city from which Carlo's father was from. 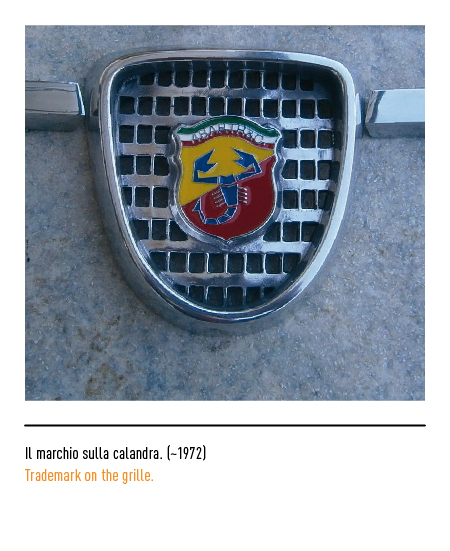 This logo started appearing on their first racing cars, assembled from chassis bought from a bankrupt Italian carmaker : Cisitalia. 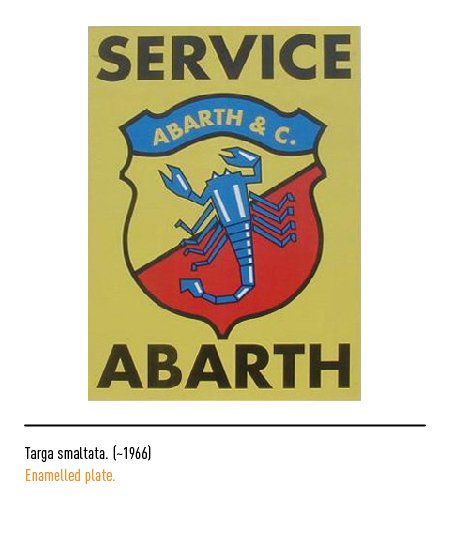 In 1958 the logotype contained only the letter "C" instead of "Co" and in 1961 the scorpion became simplier in colour and shape. 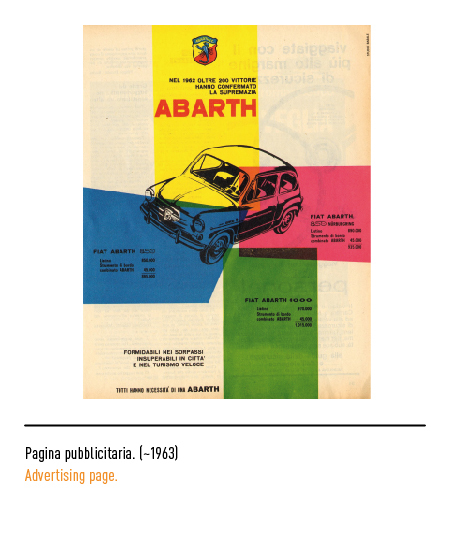 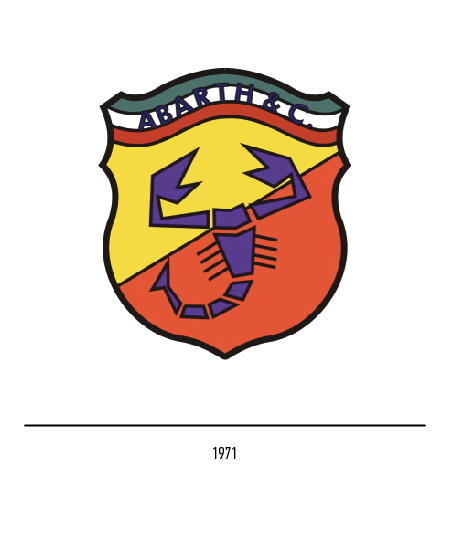 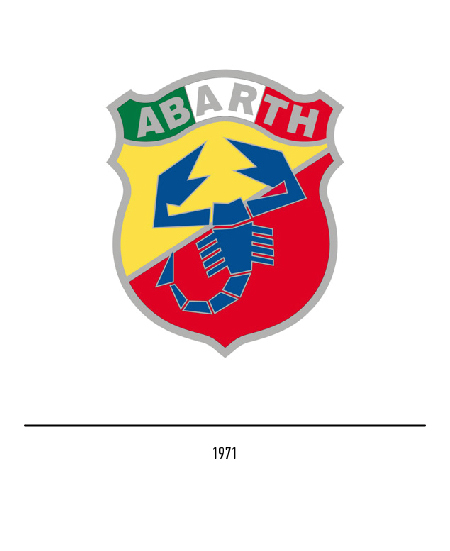 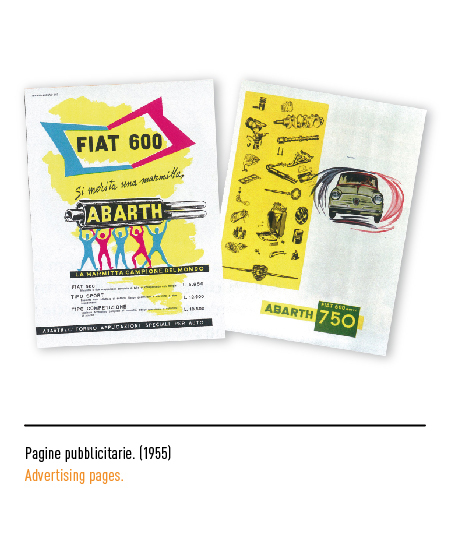 In 1969 yet one more restyling: the logotype "Abarth" alone, white and light blue, and a risky simplification of the scorpion, still black on a red and yellow background. 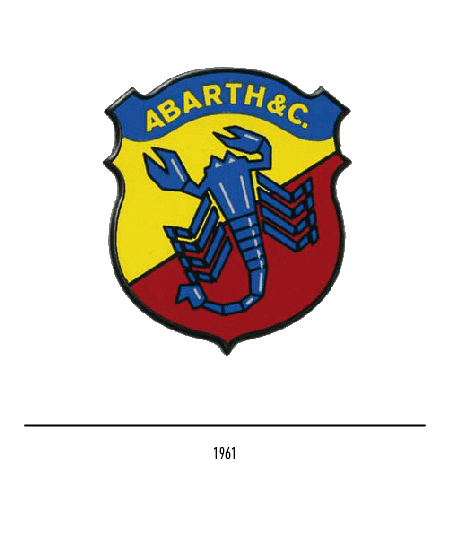 In 1971 the firm is bought by Fiat, and since then "Abarth" has referred to the racing version of the hunchbacks manufactured by Fiat; for such occasion the logotype underwent a restyling too, turning the scorpion from black to blue and using the Italian flag as background (even horizontally in some versions). 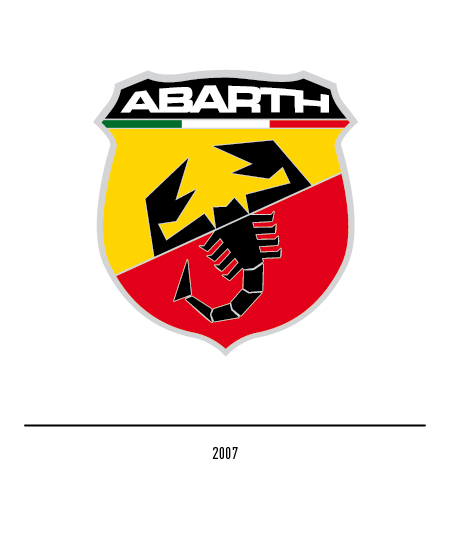 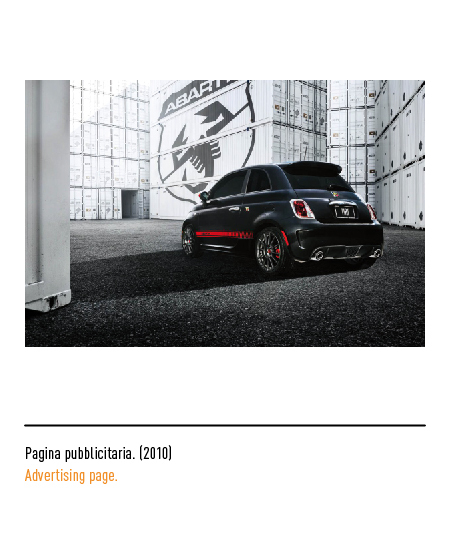 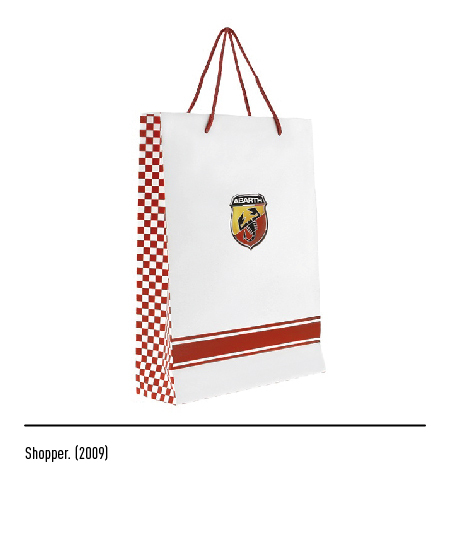 In 2007 the corporation Fiat decides to give new life to the Abarth brand, the fourth of the corporation; it was in need of a restyling which would have modernised the logo but yet maintained his own heritage and recognisability, focusing mainly on the scorpion. 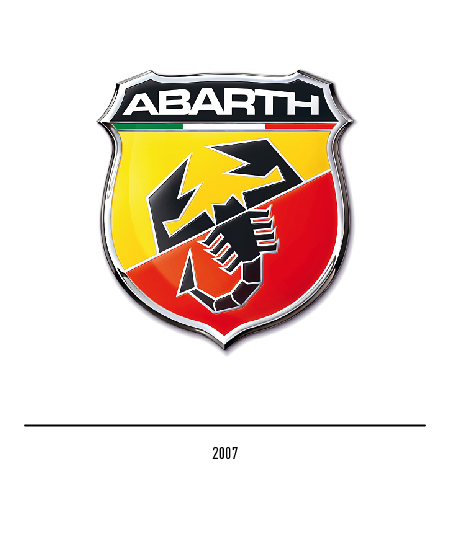 The restyling, carried on by Carré Noir of Turin, features a scorpion modified in his placement ( pincers and head on the yellow and the rest on the red), a lettering which gives strength, through the use of the font "Microgramma" and the Italian tricolour which emphasizes the "made in Italy". 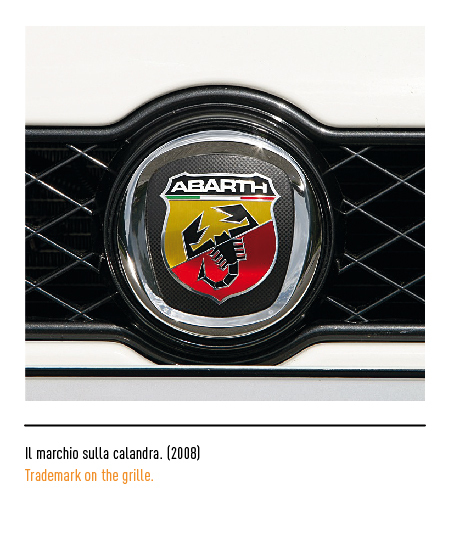 There is also a version with a 3D like effect, through the use of chromed steel. 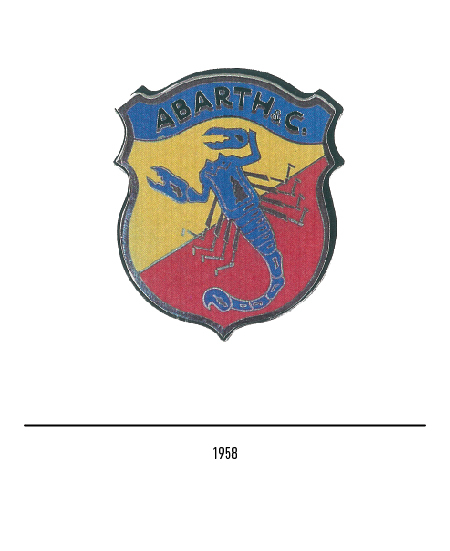 AAVV, MILLERUOTE, Istituto Geograﬁco De Agostini, Novara, 1973. 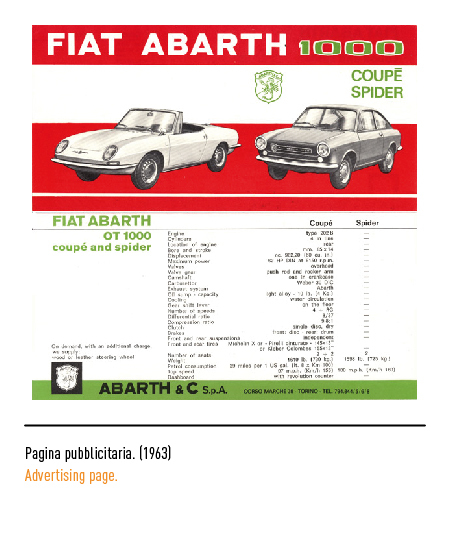 AAVV, ENCICLOPEDIA DELL’AUTO, Istituto Geograﬁco De Agostini, Novara, 1975. 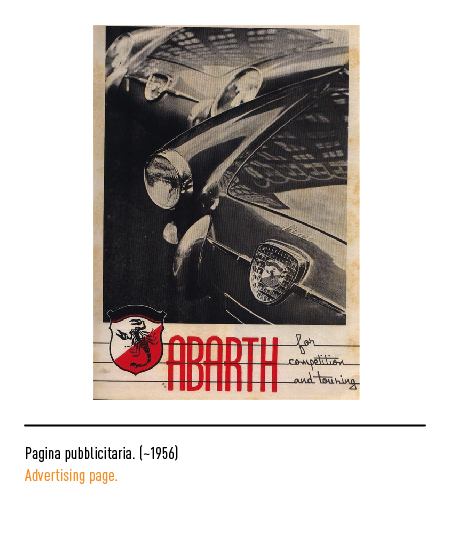 AAVV, ANFIA: 50 ANNI DAL 1912 AL 1962, Organizzazione Sanguineti, Torino, 1962.